With free WiFi in many public places and practically every Singaporean wielding an iPhone, internet cafes are quickly becoming a thing of the past in Singapore. Thankfully, if you need to do some impromptu web surfing, printing, or Skyping a few internet cafes survive in all of the city’s central neighbourhoods. Little India is home to the highest concentration of internet cafes and you can hardly walk a block without passing one. The internet cafes on Dunlop Street, also known for its backpacker hostels, have some of the cheapest prices and you’ll pay just S$1 per hour at Star Net Centre or Razias Netcafé. 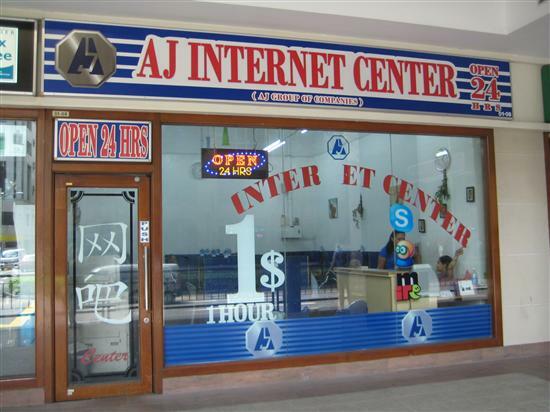 Closer to Mustafa Centre, AJ Internet Cafe is also open 24-hours and charges S$2/hour. Singapore's internet cafes, if you can find one, are a bargain. 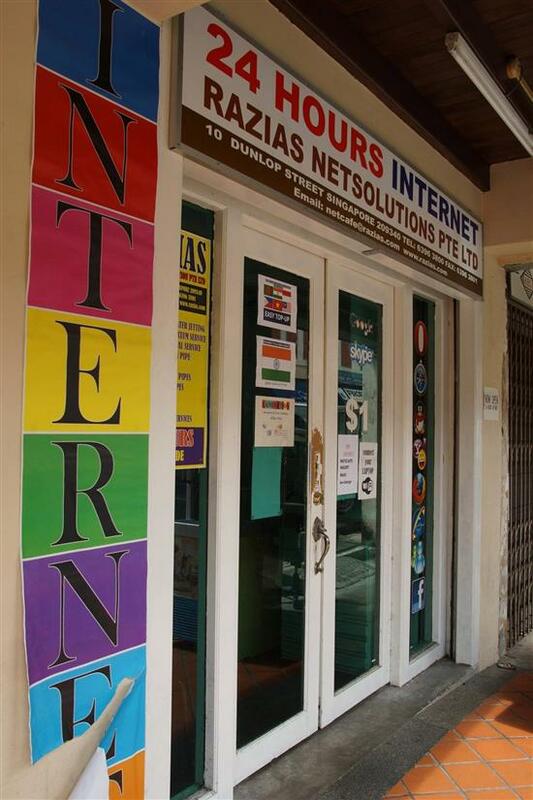 For your 24-hour internet needs near Bugis MRT, try MUSA Internet Cafe with rates from S$3 per hour. Opposite Sim Lim Square IT Mall, Burlington Square is home to multiple internet cafes including MagNet Internet Cafe and another 24-hour AJ Internet Centre with bargain rates from S$1/hour. Above the Clarke Quay MRT station is 24-hour IT Pro Internet Cafe which also advertises visa extension services. They have a second location within the Pearl’s Centre Complex, or try other Chinatown options like Techni Cybercafe or Info Cyber Cafe. Rates are usually S$2 per hour with discounts for multiple hours. No excuses for not calling your Mum -- they're open around the clock. On Orchard Road, Cyberia charges S$3 for the first hour but their broadband is fast enough for Skype and LAN games. Cheaper rates can be found at the internet cafes in Lucky Plaza – also known for its authentic Filipino food – like SM Internet Cafe or AJ Internet Centre. The entire ninth floor of Cathay Cineleisure Mall is an e-gaming zone called E2Max and rates to use their state-of-the-art computers start from S$2/hour. The most conveniently located internet cafe in all of Singapore has to be JCube Cybercafe – you don't even need to leave the Dhoby Ghaut MRT Interchange. Rates start from S$2 per hour and they sell food and drinks.